Two years ago, in 1975, Bonington had led an successful expedition to the Southwest Face of Mount Everest. Doug Scott and Dougal Haston succeeded in reaching the summit on the first route through the extremely difficult and dangerous wall. „I could not be in better care“, Doug said about Chris, the leader of the expedition. 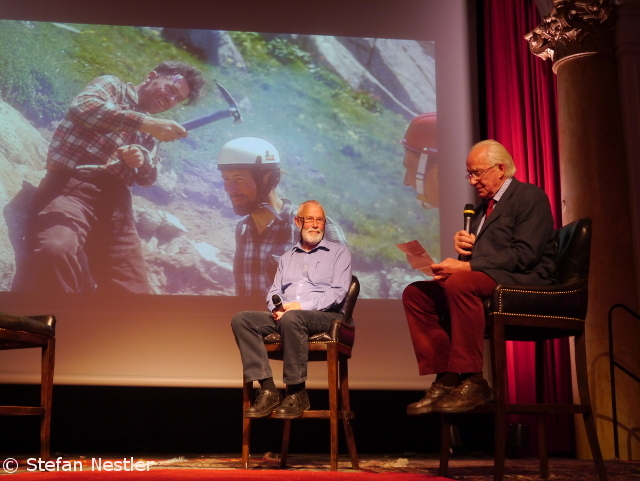 And looking back to all their joint climbs Scott resumed: „I was a lucky man to share those climbs with him.“ Tut Braithwaite, another member of the successful Everest Southwest Face expedition, called Bonington a „great ambassador for what we all do“. Not only in the past, but in the present too. 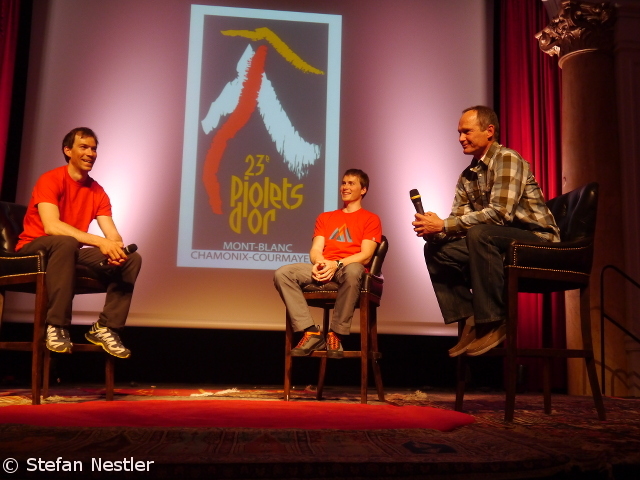 Such as the climbers of the three teams that were nominated for this year’s Piolets d’Or, the „Oscar for mountaineers“. 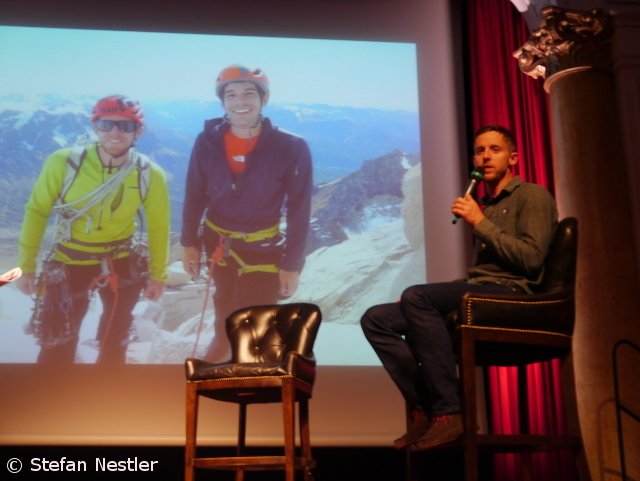 Their achievements were also presented during the evening in Chamonix: The Americans Tommy Caldwell and Alex Honnold (who could not come to France due to other commitments) succeeded in completing the full traverse of the Fitz Roy range in Patagonia, over seven summits with a total of 4,000 meters of ascent, within five days. 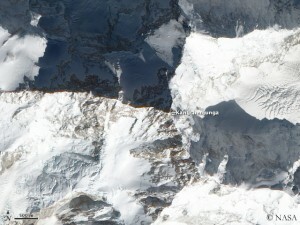 The Russians Aleksander Gukov and Aleksey Lonchinsky were chosen for their new route through the South Face of 6,618-meter-high Thamserku in Nepal. 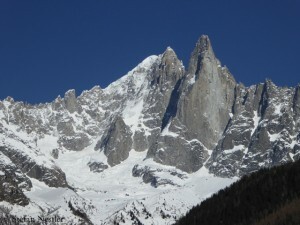 They had six bivouacs in the wall during their ascent and another on descent on a different route. The third team that was nominated for the Piolets d’Or, the Golden Ice Axe, comes from Slovenia: Marko Prezelj, Ales Cesen and Luka Lindic were the first who climbed the steep North Face of 6,657-meter-high Hagshu in Northern India. 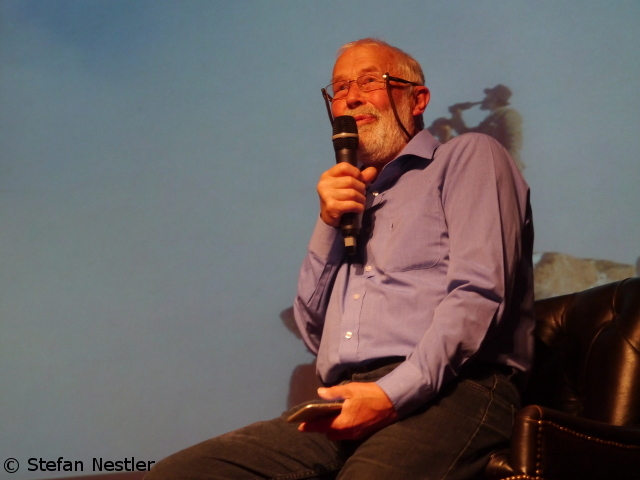 In 1991, Prezelj and his compatriot Andrej Stremfelj had received the first Piolet d’Or ever, for their climbing of the South Face of the eight-thousander Kangchenjunga in Nepal. Later Prezelj had criticized those responsible for the Piolet d’Or. 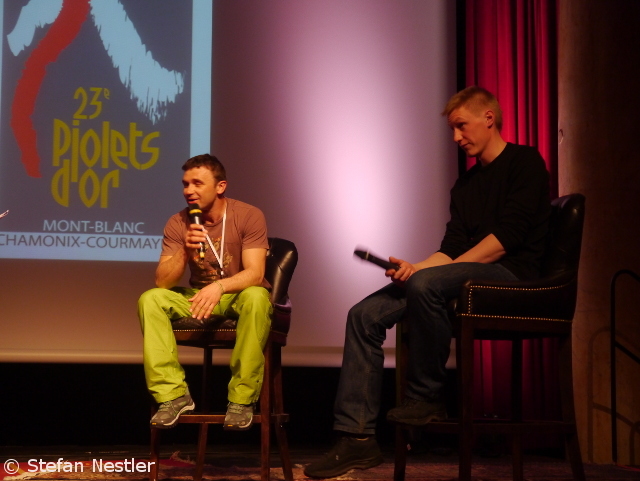 And he is still sceptical: „I think it’s impossible to judge love and passion in the mountains“, the 50-year-old said in Chamonix. 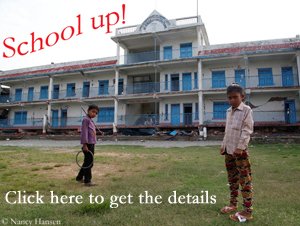 The “Mustache Gang” has struck in Nepal. 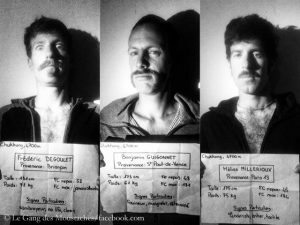 The French climbers Helias Millerioux, Frederic Degoulet and Benjamin Guigonnet, who call themselves “Le Gang des Mustaches”, opened in Alpine style a new route through the South Face of Nuptse. If there really is such a thing as a “Golden Year” of climbing in the Alps, it was 1865: More than sixty important first ascents were made on the highest mountains of France, Switzerland and Austria.